Affordability in Toronto is at a quarter-century low. House prices in the Toronto and Vancouver areas accelerated in April from already rapid growth levels, prompting one analyst to warn of an “affordability disaster” in those two cities. 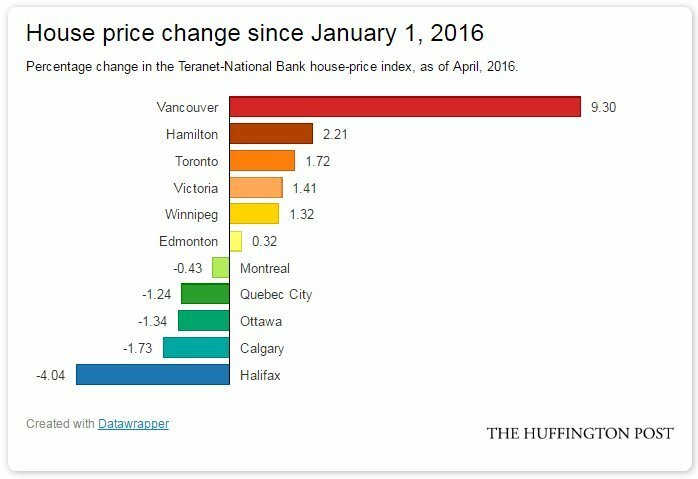 At the same time, the Teranet/National Bank house price index, released Thursday, showed prices are actually falling in many other Canadian metro areas. Since the start of this year, house prices have fallen in five of the 11 markets covered by Teranet: Calgary, Halifax, Montreal, Ottawa-Gatineau and Quebec City. But powerful house-price growth in Toronto and Vancouver pulled up the overall national index by 8.1 per cent, the strongest price growth in six years, National Bank economist Marc Pinsonneault said. “For those living in Vancouver, Victoria, Toronto and Hamilton, the housing boom continues,” he said in a statement. What Pinsonneault sees as a housing boom looks more like a crisis to Capital Economics’ senior Canada economist, David Madani. “In Vancouver and Toronto, the acceleration in annual house price inflation to 19.8 per cent and 10.5 per cent represent housing affordability disasters from the perspective of potential home buyers,” Madani wrote in a client note Thursday. Recent data has suggested that affordability is eroding in Canada, despite rock-bottom interest rates that have kept mortgage payments relatively small, given the level of house prices. 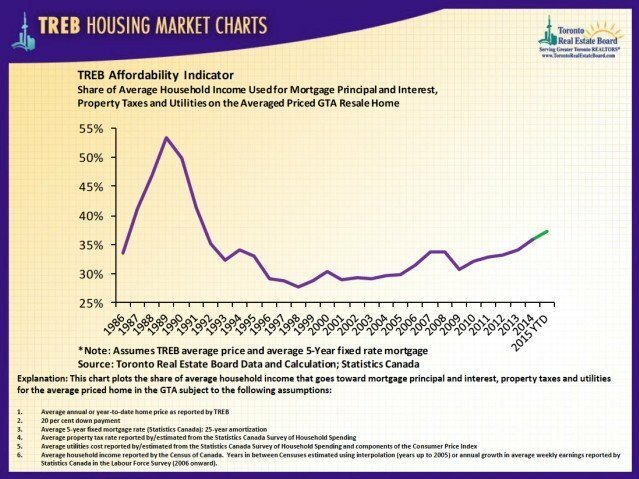 Affordability in Toronto has eroded to the worst level in a quarter century, and housing is now less affordable for middle-income earners in Toronto than it is in New York. Madani, one of the more bearish analysts when it comes to Canadian real estate, has long been predicting a real-estate correction for Canada that would shave about 25 per cent off house prices. 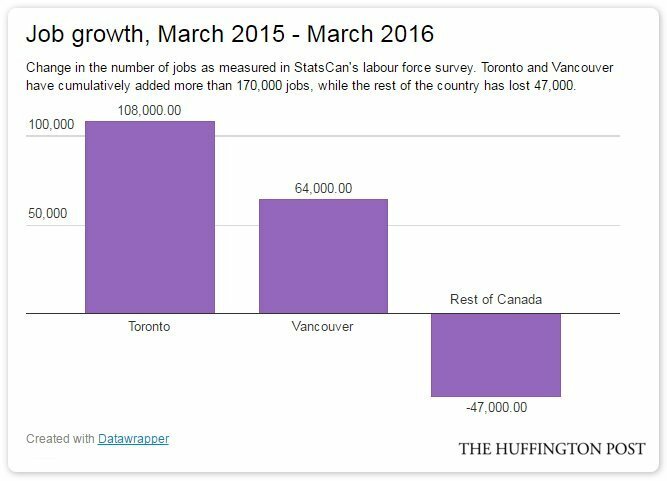 “The growing bubbles in Vancouver and Toronto continue to defy economic fundamentals,” he wrote. 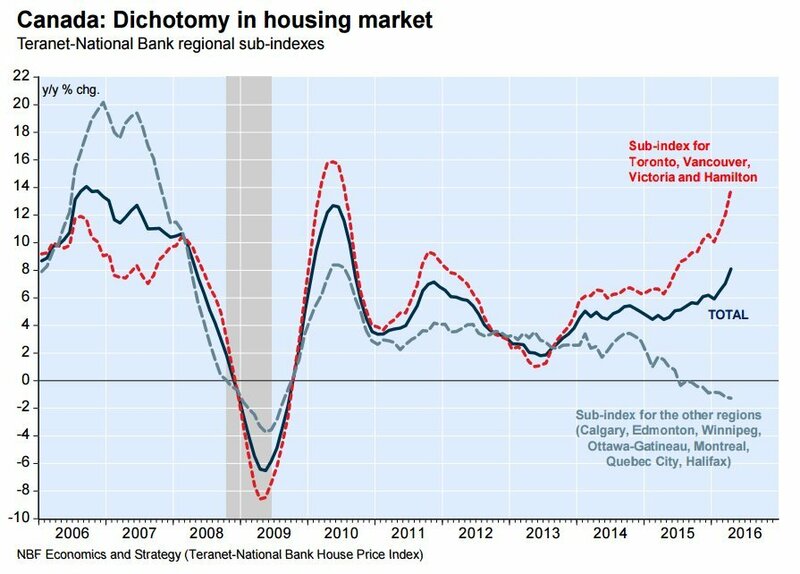 But Pinsonneault points out there are reasons for why house prices in Toronto and Vancouver have become so detached from the rest of the country — these two cities are driving most of the job growth. “While some will keep blaming foreign capital for the housing boom in Vancouver and Toronto, it’s worth noting those cities are also blessed with the strongest labour markets in the country and hence are able to accommodate large migration flows,” he wrote. With people moving to those cities for work, a housing shortage is developing, but Pinsonneault expects construction to pick up and “help alleviate” some of the price pressure, particularly in Vancouver.